The patent box is a valuable tax concession to encourage invention in the UK. It came into force on 1 April 2013 and we are holding a series of workshops on the new incentive with our good friends at BDO and Jackson & Canter. 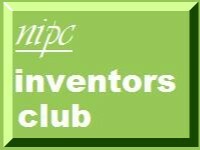 The first of those events took place in Liverpool on 29 April 2013 and you can download the presentations that were given at that workshop from "The Patent Box Workshop: Liverpool Inventors Club" 3 May 2013 IP Northwest. The next event will be at Leeds Central Library on 8 May 2013 at 18:00 where the main speaker will be BDO tax partner Dan Brookes (see "Leeds Inventors Group: Patent Box and R & D Credits" 4 May 2013 IP Yorkshire).